A few years ago a friend suggested I start a podcast. I remember thinking this was one of the strangest and funniest suggestions I had gotten in a while. It conjured up images of pirate radio geeks in their Mom’s basement, at 30 years old, wearing old concert t-shirts and weird propeller hats. I remember thinking “Who the heck listens to a podcast?” “How would a podcast help me?” In addition, “What would I talk about?” Fast forward to 2017 and I have the answers to these questions, and more. 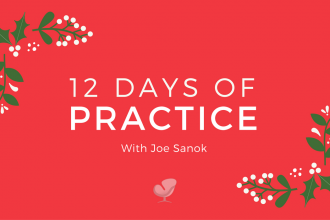 Including seven reasons to podcast in private practice. A podcast is a way for a therapist in private practice to reach your niche audience or clients by talking about the subjects related to the people you work with the best. According to Pew Research Center and Edison Research, in 2016, 21% of Americans aged 12 and older have listened to a podcast in the last month. This figure is up from 12% in 2013. 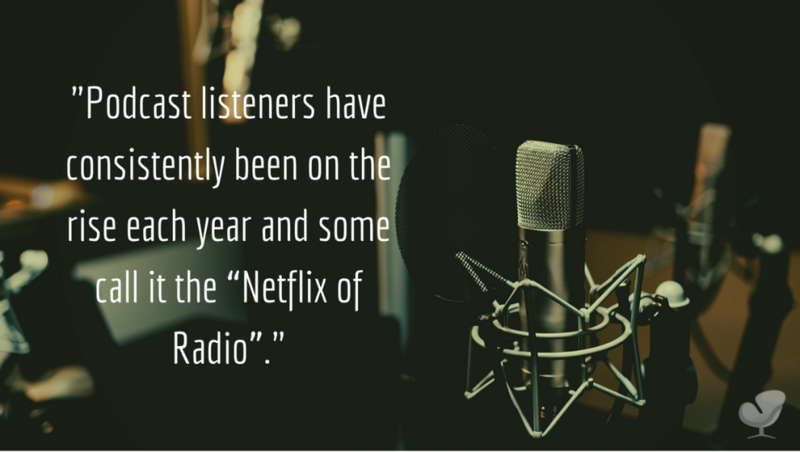 Podcast listeners have consistently been on the rise each year and some call it the “Netflix of Radio”. In 2016, 64% of Americans aged 12 or older who have ever listened to a podcast said they were listening “most often” on a mobile device. Why does this matter? Because people are searching for healthcare professionals using a mobile device. Gone are the days of finding a therapist in private practice from a big book of names provided by your insurance company. We now have websites and Psychology Today profiles that allow people to see your photo and read something to determine if it feels like a good match. Podcasting offers an enhanced way to connect. Have you ever misread a text or thought a text had a particular tone? Podcasting can take some of these misinterpretations out of it, by simply allowing potential clients to hear your voice. These listeners can convert to clients when you reference your products and website during or at the end of an episode. Podcasts have a unique ability that other forms of social media do not. YOUR VOICE. Both literally and figuratively, your voice is expressed through this audio form of social media. Your listeners, who could be colleagues or future clients, get to know you in a much more personal way. They get to hear your enthusiasm, sense of humor, and communication style that can’t be felt in written form. They also get to know what you stand for as a therapist and what you are passionate about. It helps to build a level of trust and take some fear of the unknown out when considering reaching out for help. Because they already feel like they know you. Your brand as a business and therapist are all of those things that give you an identifying mark in social media. SEO or search engine optimization is the process that maximizes the number of visitors to a website by ensuring it appears high on the list of results in a search engine. For example, when people search for a particular topic or therapist in their area, you want your website to appear at the top of the search. When podcasting, listeners will go to a website to listen to or download a podcast. The link to the download can include a description of the podcast and usually a profile of whoever was on the episode, or who hosts the podcast. Links to your therapy website from your profile can help search engine optimization because you can be found and your website will be linked back to from more than one place. In addition, websites that host podcasts will gain more authority in their online presence and more traffic from their listeners by virtue of having multiple forms of content (for example: written, audio, video, etc.). If you take things a step further, and include a transcript of the podcast episodes, you can increase SEO by telling search engines what is in your audio file. This makes it easier to find. If you are just starting out and don’t want to go to the lengths of having a transcript, a paragraph description that includes keywords can also enhance your SEO. There are limitations to your income potential as a therapist in private practice, if it is dependent solely on seeing clients. There are only so many hours in a day and so many clients you can see without getting burnt out. With podcasting, you can earn additional income through sponsorship and advertisements. Sponsorship being a fee you charge to indicate a podcast episode is being “brought to you by, or sponsored by….”, while an advertisement is a fee companies pay you to recommend a product or tell them about a product. Podcast listeners often buy products they hear about on their favorite shows. If you are knowledgeable about a subject, or have a niche market for your therapy practice, this is a great way to showcase it. If you have high-value content and interview industry leaders, by association, you can come to be known as an industry leader. As a result, you may be asked to be interviewed on other podcasts, or to speak at other events further increasing your recognition. While people may read or skim this article, podcast listeners are much more likely to listen for a longer period of time. According to a survey, podcast listeners are loyal and 88% listen to most or all episodes of the podcasts they subscribe to. A podcast can be paused, replayed, and listened to anywhere you have a mobile device. That means when people are driving in their cars, cleaning, doing laundry, or going to the gym, they can listen to you and enhance the experience of whatever primary activity they are doing. This translates to increased potential for exposure for your business. Americans are busy and taking the time to read something requires a lot more commitment than listening. With podcasts, people don’t have to give something up to listen to you. While the initial outlay, monetarily, for podcast equipment is minimal (microphone, editing software, internet connection, etc. ), it does take time and planning. The upside is the potential for a return on investment, exceeding the cost of your time and equipment expense, is substantially higher than blogging or mailing letters and possibly seeing clients. A case example: Since the launch of Melvin Varghese’s Selling the Couch podcast in March 2015, the podcast has surpassed 75,000 downloads and has over 130 5/5 Star Reviews (as of February 2016). I don’t know what this has translated to for Melvin monetarily but, given the success and potential for advertising and sponsorship, he doesn’t need to see 10 clients a day and work nights and weekends. The time spent creating his podcast has resulted in more time with his family. If you want more information on where to get started you can also check out Melvin’s “Healthcasters”, a community dedicated to helping you learn how to podcast and help to support you along your podcasting journey. 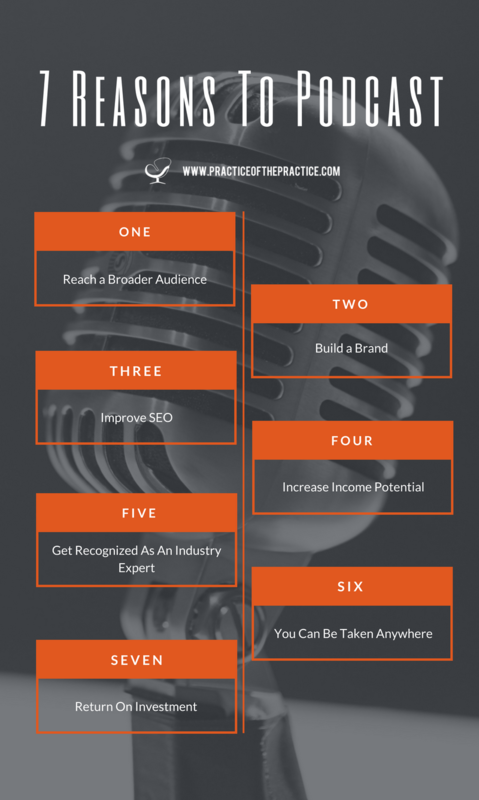 In summary, think about the unique voice you have and what information you have to share that could be great content for a podcast and potential for increasing your business! For more information on podcasting and resources reach out and contact me via my website.